“Thoroughbreds are my love, my love, my love,” said Nina. Horses are part of every aspect of Nina’s life — including her family. 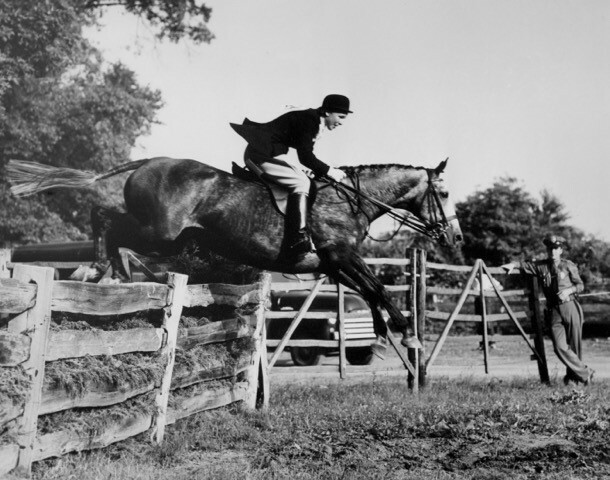 Her mother, Theodora Randolph, was Master of Piedmont Fox Hounds in Upperville, Virginia, for many years and received the USEF Lifetime Achievement Award in 1995 just before she passed away. 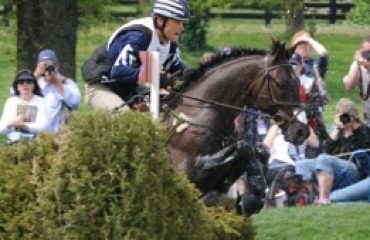 Bonnie and her husband, Ned, who has long been involved with steeplechasing and was responsible for writing the USEF (US Equestrian) drug rules as well as prosecuting violators, received the same award in 2002. They have passed the horse gene to their two sons, Shelby and Robert: Robert foxhunts and married an accomplished event rider, Julie Gomena, who is now a top steeplechase trainer. 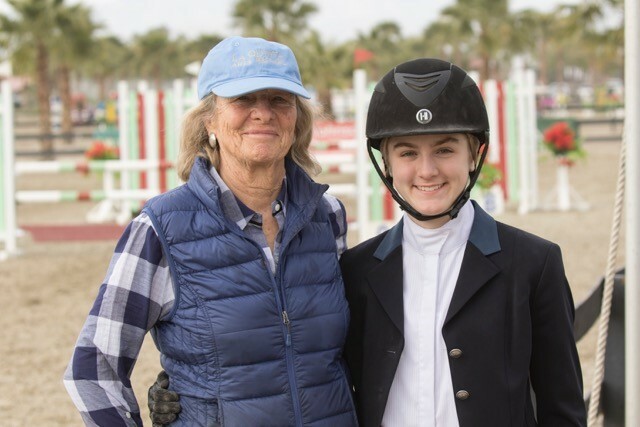 Shelby foxhunts and has returned to the jumper ring after 25 years, alongside his daughter Virginia, a talented hunter and jumper rider who recently won team gold for children’s jumping at the North American Children, Junior & Young Rider Championships. Nina was appointed chair of the Kentucky Horse Park Commission and founded the Kentucky Horse Park Foundation in 1985, working diligently ever since to make the Kentucky Horse Park the incredible experience it is today. 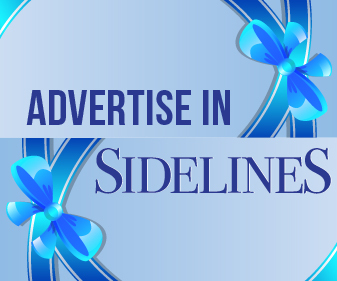 Sidelines caught up with Nina to learn more about her life and the Kentucky Horse Park. How did your family first get involved in horses? 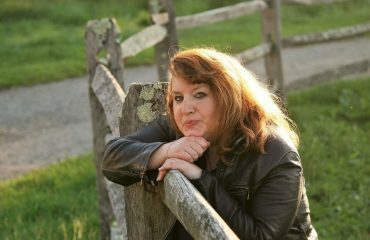 My mother grew up in Massachusetts and as a little child, rode and got totally addicted to horses. She ended up having really good show horses, which were usually the good-looking Thoroughbreds she bred herself as racehorses, but because they were so good-looking they became show horses instead. She was a totally dedicated horsewoman; she really did it all. So when I was growing up, I had a wonderful pony called Caramel who was really my best friend. I had no other option but to do the horses, and I’ve loved them ever since. 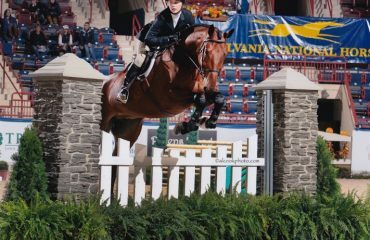 Nina credits George Morris with revolutionizing her riding and enabling her to compete well. You had great success showing. What were some of your favorite showing experiences? I started showing when I was in my teens, and I would just run and jump: It was before you really counted strides and all that. 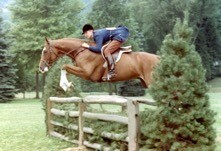 Because George Morris taught at my sister’s farm in Millbrook, New York, he came and did a clinic in 1969. It totally revolutionized my riding. 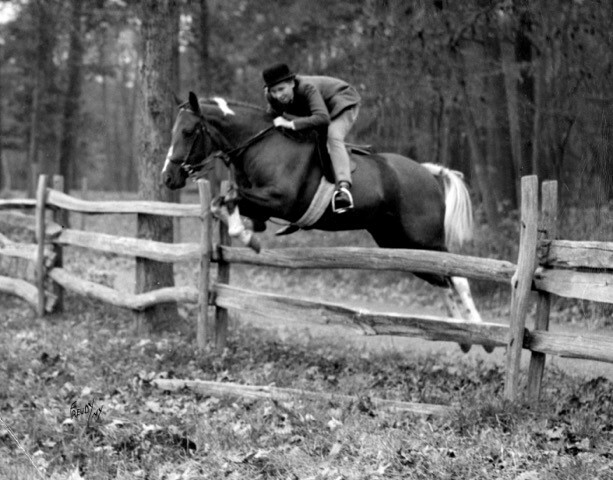 I didn’t even know what a diagonal was — I was just one of those natural foxhunting riders. He really changed my life as far as being able to compete. One of my favorite experiences was when I had a wonderful horse called Merlin and I took him up to the Royal Winter Fair. When I went, the stands were filled. There were a lot of kids because you didn’t have to pay anything to go in. I’d be going around, and they’d be yelling, “Come on, Merlin!” It was just fun, and he ended up being champion there, which made it nice. What brought you to Kentucky after being raised in New York? I was teaching at Foxcroft School in Middleburg and I made a great friend who was also teaching there. She told me there was a gentleman that I needed to go meet who was from her hometown of Louisville, Kentucky. You know how blind dates go — they sometimes work and mostly not. So I traveled to the Iroquois Steeplechase in Tennessee. The first thing, watching the race, Ned’s horse fell and he went on his head. I thought, Boy, this is just lovely not to be involved with this guy, because I’d gone out with a few of the jump jocks who had fallen on their heads probably a few too many times. We got married about 10 months later, and we rented a little house outside of Louisville. We ended up buying a wonderful farm called Stonelea, where we’re still living. 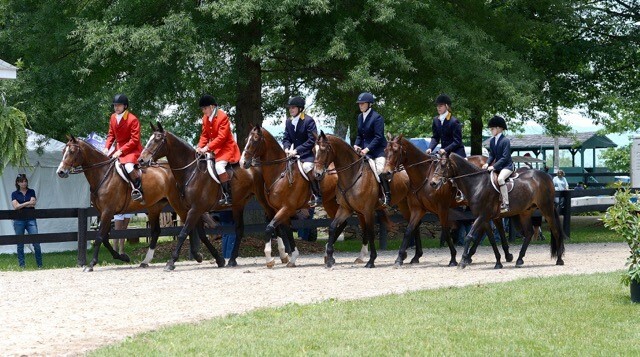 Horses are a part of the Bonnie family, and they all competed in the Family Class at the 2014 Upperville Horse Show. From left to right: Shelby Bonnie, Ned Bonnie, Robert Bonnie, Nina Bonnie, Julie Gomena and Virginia Bonnie. How did your role as chair of the Kentucky Horse Park Commission come about? Martha Layne Collins got elected as governor. She called me one day and asked if I’d be interested in running the commission, and I loved doing it. One of the first things we did as a commission was start a foundation. It worked really well — the foundation has raised over $30 million, and frankly what you see at the park, the rings and everything else, would not have been there without the foundation. I think it’s been a good partnership. What does the Kentucky Horse Park mean to you, personally? What has inspired all the effort you’ve put into it? When I went for the 1978 World Eventing Championships, I saw this amazing land with wonderful buildings, and thought it was a really good idea to have a park that was dedicated to horses and the education and art and all the things that go with it. It’s a beautiful piece of land, now over 1,200 acres, the only park in the world that’s totally dedicated to all things equine. It has 30 organizations on the grounds, including the US Equestrian headquarters. They’ve got a couple of really good museums, Derby winners and other famous champions, and a Parade of Breeds; it’s a really comprehensive experience for horse lovers. There have been a lot of people that have dedicated lots of hard work over the years after falling in love with the concept and the whole experience. When I first came onto the commission, what I concentrated on was the competitions. They were a real source of revenue they didn’t have. I would go up there and show, and first they had a place on the side of the hill and it was grass, so if it rained it got kind of scary. Then they had a ring that was too big, terrible footing, and just one ring. If somebody hadn’t put together a good schedule, you’d be there from 8 in the morning ’til midnight. So I knew it needed rings, and we helped put them in. We were able to raise money to build some of the structures, such as the pavilions, and began attracting some of the bigger shows. I think the World Equestrian Games were probably the epitome. My hope is that the Horse Park will continue to be at that level of competition. I think it’s a wonderful facility and an amazing place. What’s going on with the Kentucky Horse Park right now? There was a change of administration and a change of leadership at the park, and the commission, which had been a rotating commission for 30 years, was disbanded. It’s been a time of upheaval, yet I remain optimistic that out of this will come even better things. The secretary of tourism, Don Parkinson, has been extremely helpful in looking at the Park and I think he sees what it can be. I’m very hopeful that the ultimate, long-term result will be that the park will be stronger and better than ever. Nina grew up foxhunting in Virginia and New York. I think, and I think our secretary of tourism realizes, that it’s very difficult to have something like the Kentucky Horse Park under the same strictures as the state parks. I think the governance of how that’s worked out is going to be extremely important. There’s a big role for the foundation still, and there’s a way that the Horse Park can be more profitable. It gives so much to the community; I don’t think Lexington would be where it is now if it hadn’t been for the Horse Park and the tourist traffic. To me it’s one of Kentucky’s best assets and something to be very proud of.